All XF models 2008-present. GENUINE JAGUAR PART. CD MAGAZINE. SORRY NO COLLECTION . All X-Type models 2001-2010. Jaguar X-Type CD Changer 1X4318C830AC. Jaguar X-Type CD Changer 1X4318C830AC working condition when removed. Tested. LXF 4160 BA. JAGUAR XJ6 / X 300. 2005 JAGUAR X-S TYPE S-TYPE MULTI PLAYER DISC CD CHANGER 1X43-18C830-AC ,IN GOOD WORKING ORDER. Good and working order. LNC 4160 AA. JAGUAR XJ8 / X 308. For sale a fully working Alpine CD 6 changer unit together with the CD cassette. This was taken from a MY 2000 E46 BMW Coupe, may fit other models such as 5 series (inc X). Jagaur xtype cd changer good working order. We have an extensive collection of new,original, classic & modern Jaguar spares and parts. These are not an after market product they are genuine. All our products are genuine. Range Rover sport. Range Rover 2013>. Range Rover Evoque. This fits Jaguars. JAGUAR PART NUMBER: C2S44973, 4X43-18B876-BE. JAGUAR X-TYPE 2004-2008 RADIO CD PLAYER 4X43-18B876-BE. NEVER USED, REAL PHOTOS. Removed from a 54 Plate S-Type jaguar - fully working order. JAGUAR S TYPE 6 DISC CLARION CD CHANGER. Part Number - C2S14403. Here We Have a Genuine Jaguar Compact Disc Auto-Changer Magazine. Suitable For the Jaguar S-Type and X-Type Models. UK Non-Mainland - DPD Highlands and Islands is used for the rest of the UK (inc. ). Will fit all XJ8 FROM 1997 TO 2002 AND XK8 XKR 97 ONWARDS. Jaguar CD changer with magazine. Range Rover Evoque. Discovery 4 2010-16. Range Rover sport. And Range Rovers. All our products are genuine. This listing is for a used part This 6 Disc CD Changer is from a 2007 Freelander 2 2.2 TD4 Please match current part number of 7G9N-18C815-TA as shown in photo Good used working condition. Will fit 07-15 Freelander 2. As shown in photo. XK8 XKR models 1997-2006 (VIN range 018108 through to 042775, A00001 through to A99999). XJ8 XJR X308 models 1997-2002 (VIN range 812317 through to 899999, F00001 through to F59525). We are a Jaguar vehicle parts specialist, based in the East Midlands. Freelander 2 2006-14 LR052065. Range Rover sport. Range Rover Evoque. And Range Rovers. These are not an after market product they are genuine. All our products are genuine. This fits Jaguars. Discovery 4 2010-16. 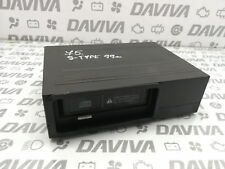 JAGUAR CD CHANGER X-TYPE XJ S-TYPE GENUINE 6 DISC CD CHANGER PLAYER BRACKET 1X43-18C830-AB. Good used condition. 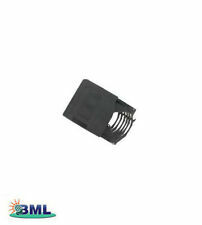 This unit can also be used on XJ40 and XJS models to supercede part number DBC10432. XJ6 XJ12 XJR X300 models 1994-1997 (VIN range 720125 through to 812255). XK8 XKR models 1996-1997 (VIN range 000001 through to 018107). Only fits alpine based changers - if unsure pelase ask. This is the 6CD interchanger from my S-Type Jag as supplied and fitted by Oxford Jaguar when I first bought the car. WE ARE OPEN FROM 8AM - 6PM. This fits Jaguars. All our products are genuine. 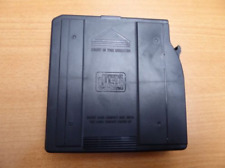 JAGUAR S TYPE 98-02 6 DISC CD CHANGER, PART NUMBER IS :- XW4F-18C830-AL. The cd changer has been removed from Jaguar S Type 2001, but it's can be cover 1998-2002. 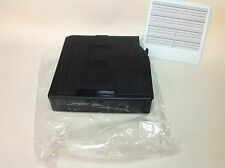 Jaguar xk8 multi CD changer part number LNC4160 AA. LNF4160AA OR LNC4160AA. XJ8 X308 (V)812317 TO (V)F59525. Specialist in second hand spares and performance parts for Jaguars. XK8 (V)018108 TO (V)042775. XK8 (V)A00083 TO (V)A30644. XK8 FROM (V)A30645. 2006 - 2011 Land Rover Freelander 2 6 Disc CD Player. We are a bonefide 'End Of Life' Vehicle Dismantlers situated in East Devon. We willALWAYS resolve your issue but would ask that you call us in order to do so.